After four years of working in a shipping company, an inheritance gave Fleming the chance to train as a physician at St Mary’s Hospital London. From here he moved to the research department, specialising in the relatively new science of bacteriology. During the First World War, Fleming served in the medical corps and served in the hospitals of the Western Front; during his war service, he was mentioned in dispatches. “When I woke up just after dawn on September 28, 1928, I certainly didn’t plan to revolutionize all medicine by discovering the world’s first antibiotic, or bacteria killer,” … “But I guess that was exactly what I did”. Fleming had left a jar of mould unattended during his August vacation. On returning to work he noticed that a jar of Staphylococcus bacteria – a green-yellow mould – had covered the dish except one area which was clear of the bacteria – rather like a halo effect. This was Fleming’s great Eureka moment – the moment he correctly deduced that some antibacterial agent had crept in and successfully stopped the bacteria. He later identified this antibacterial agent as a rare form of Penicillium notatum which had drifted in from a mycology lab nearby. He later talked about the importance of chance in this discovery. In 1929, he published his work in British Journal of Experimental Pathology. However, for the next decade, his discovery remained relatively unknown. He was not able to produce penicillin to inject rats in sufficient quantities. By 1932, he had effectively abandoned his research on penicillin. However, in 1939, a team of scientists at Oxford University began work on trying to make a large quantity of antibacterial agents. The team under Howard Florey and Dr Ernst Chain started to work using Fleming’s penicillin culture. They were able to extract the penicillin in sufficient quantities to start producing it on a commercial scale. This enabled them to start producing the world’s first antibiotics. This revolutionised medical science and helped to eradicate many bacterial infections such as Pneumonia, syphilis, gonorrhoea, diphtheria, scarlet fever and many childbirth infections. After the production of penicillin, the public wanted a key person to identify with the discovery. 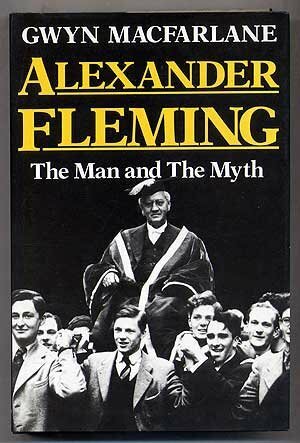 Florey and Chain were not too keen for a public profile so the role of Alexander Fleming was highlighted as the person who first discovered the agent. Fleming was hailed as the hero of the antibiotic generation – a discovery which helped save many millions of lives during the Second World War and after. For his work, he was jointly awarded a Nobel prize in 1945. He died of a heart attack in 1955 and was buried at Westminster Cathedral. 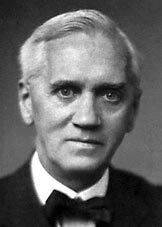 — Sir Alexander Fleming – ‘On the Antibacterial Action of Cultures of a Penicillium, with Special Reference to their Use in the Isolation of B. Influenzae’, British Journal of Experimental Pathology, 1929, 10, 226. It was only during Second World War that fellow scientists Florey and Chain were able to extract penicillin in sufficient quantities to use it as treatment. Penicillin was estimated to have saved the lives of thousands of Allied servicemen during World War Two. In 1945, Fleming, Florey and Chain were awarded the Nobel Prize for medicine. At least three large Swedish magazines ranked penicillin as the most important discovery of the millennium.